Rather than stowing their banjos and mandolins completely, the group incorporated drum machines, overdriven guitars and laser-like synths to create a hybrid unlike anything else going. Why See Judah and the Lion? The musical city of Nashville is synonymous with country music, yet fun-loving alt-folk-pop trio Judah and The Lion burst out of their hometown with a genre-bending sound in 2011, mixing an upbeat flurry of folksy mandolin, hip-hop beats, driving rock and roll drums and deftly-written pop mega hooks. 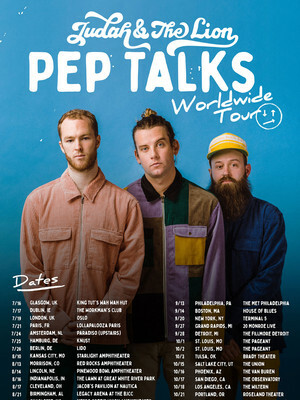 Don't miss them as they continue to spread uplifting party vibes on the Pep Talks Worldwide Tour in 2019! The trio's third album (also entitled Pep Talks), released in the May of 2019, follows the bands two previous chart-topping albums, Kid These Days (2014) and Folk Hop n' Roll (2016), both of which hit the top of US Folk Charts. Judah and the Lion have already released five tracks from their forthcoming album, "Why Did You Run", "Quarter-Life Crisis", "Over My Head", including their collaboration with Kacey Musgraves "Pictures". With a sterling track record, the young band continue to go from strength to strength, we can't wait to see what the future lies in store for Judah and The Lion! Seen Judah and the Lion? Loved it? Hated it? Sound good to you? 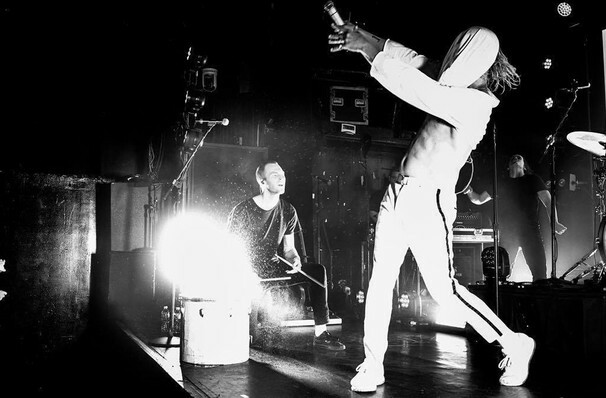 Share this page on social media and let your friends know about Judah and the Lion at Roseland Theater. Please note: The term Roseland Theater and/or Judah and the Lion as well as all associated graphics, logos, and/or other trademarks, tradenames or copyrights are the property of the Roseland Theater and/or Judah and the Lion and are used herein for factual descriptive purposes only. We are in no way associated with or authorized by the Roseland Theater and/or Judah and the Lion and neither that entity nor any of its affiliates have licensed or endorsed us to sell tickets, goods and or services in conjunction with their events.